The DOT also warned that “identified tourists will be stopped at the jetty port” if they would attempt to enter the island. Only the residents, workers and resort owners with proper identification cards and terminal passes will have the access to these islands. And it will be only the residents who can swim in designated beach. The visitors to the residents will also not get an entry into the island unless “emergency situations with the clearance security of the (government) security committee,” the DOT said. There order says that there should be no floating structures allowed up to 3 kms from the shoreline of the beach. The Bureau of Immigration will thoroughly check the foreign residents and re-validate them. The Boracay Islands has close to 2 million tourists pouring in to enjoy the beautiful beaches with white sand and crystal clear waters. The government is now making efforts to clean up and rehabilitate the island under the order of the President Rodrigo Duterte. Malay Mayor Ciceron Calawaing and Caticlan port administrator Never Maquirang are implementing the said order. A popular hub for tourism, some business owners and resort owners had opposed the shut down of the island but care has been taken to deal with the opposition. Armed security personnel have been sent to provide “maximum” security to the island. Another 600 policemen will be posted to ensure peace and order on the islands, informed the police. Not just this, the police have had practice of the likely disturbances which could be faced during the clean up period. Police conducted exercises simulating clashes with protesters, terrorist attacks and even hostage incident. The military and the Coast Guard will also help the police maintain order. “We (Coast Guard) will extend whatever help we can give…We will help in the patrol and enforcement of regulations…..We will monitor the development there,” Capt. Armand Balilo, Coast Guard spokesman said. The army troops from Cebu nearby in the central Philippines have also been tapped to help ensure security on the island. This shut-down will likely affect the lives of of almost 47,000 residents on the island. The President had issued the order for temporary closure on April 4 and the rehabilitation will take about 6 months starting from April 26. The shut down will also affect the economy of Philippine as tourism will hit the low. It is estimated to affect about 1.96 billion pesos (roughly 34.5 million U.S. dollars), according to Economic Planning Secretary Ernesto Pernia. 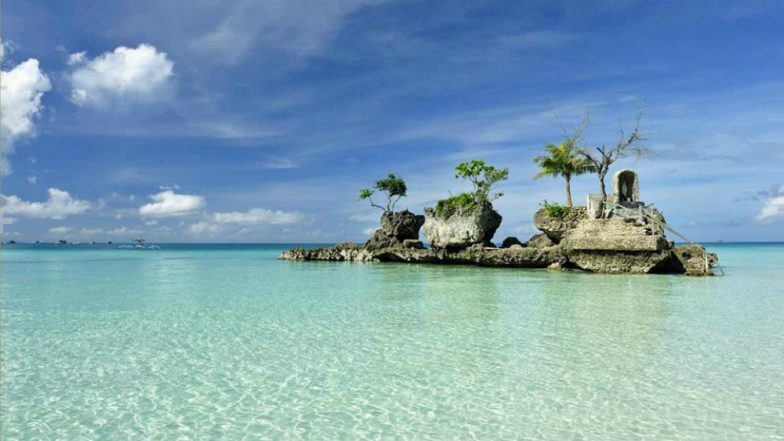 Tourists will have to wait for a good six months to enjoy the beauty of Boracay Islands all over.